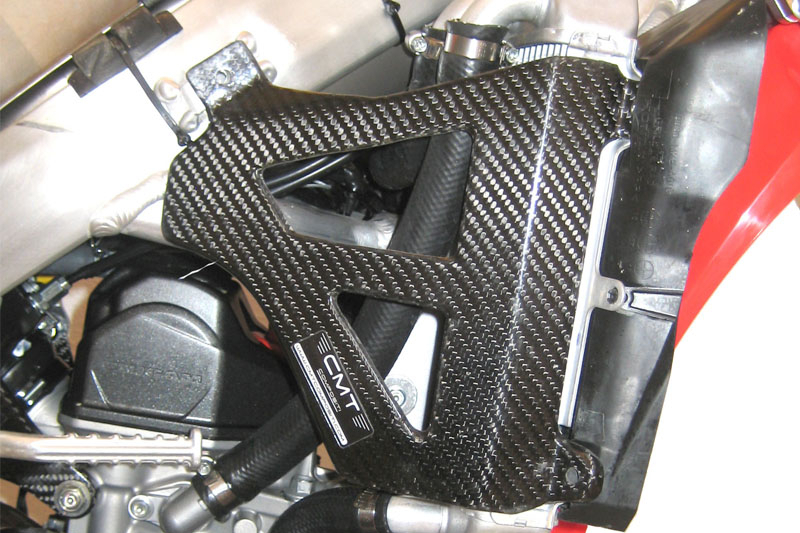 The radiator is a very delicate cooling device that serves to absorb and disperse the excessive heat. 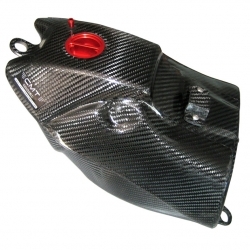 Owning a carbon kit radiator braces made of carbon for Honda CRF 450 2019 can be, therefore, very important to the primary function of vehicle protection from external agents that the use of the Kit entails. 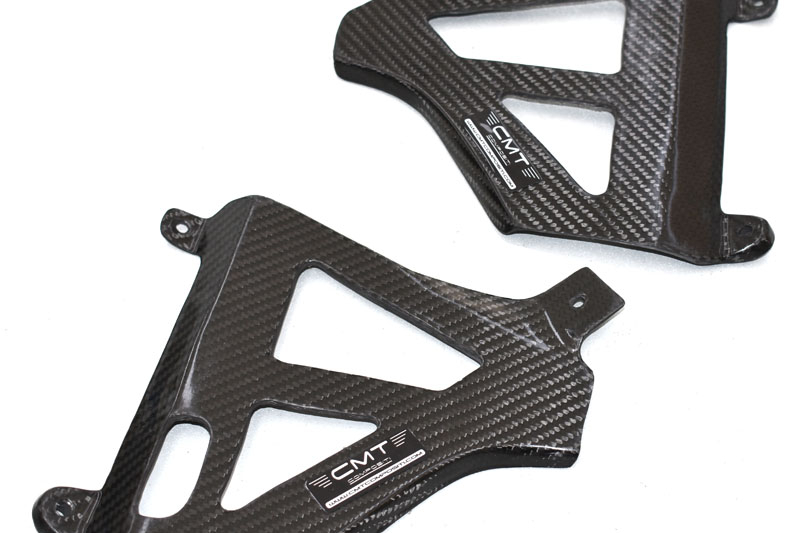 Lightness and strength are the main features of the broad range of CMT products made of pure carbon.